Tyre: rear: 26” 50 mm wide, front:20” 50 mm wide. Frame: Frame and fork are from high tensile steel. 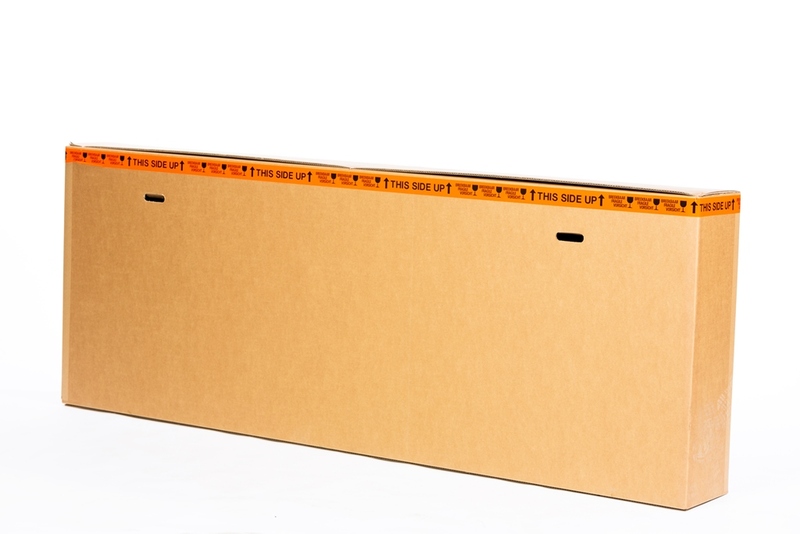 Material wooden box: made from water resistant FSC approved wood. Wheel lock: Anti rust, hardened steel. 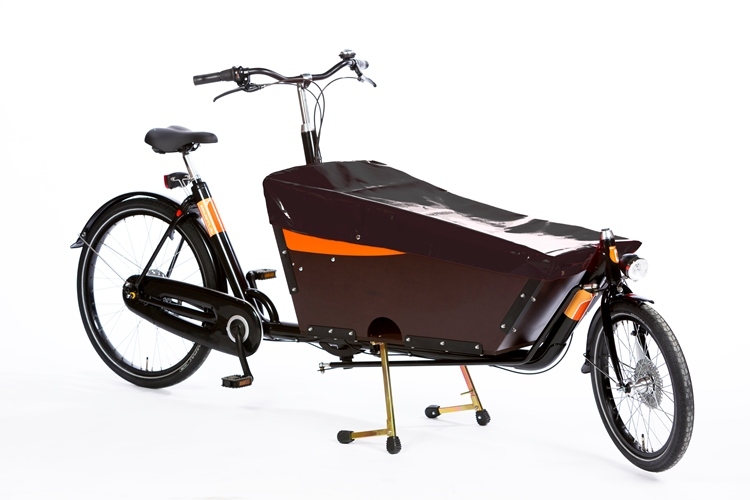 Wheels: Strong wheels with strong aluminium Rims and extra thick spokes. 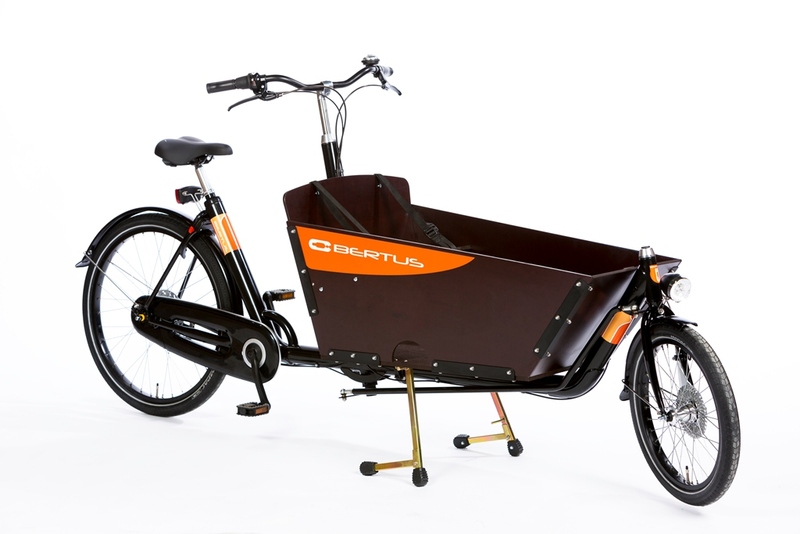 easy entry: The Bertus has a very low entry so in combination with his stable stand, Kids can safely get in and out without the Cargobike tipping over. Super stable 4 point bicycle stand. 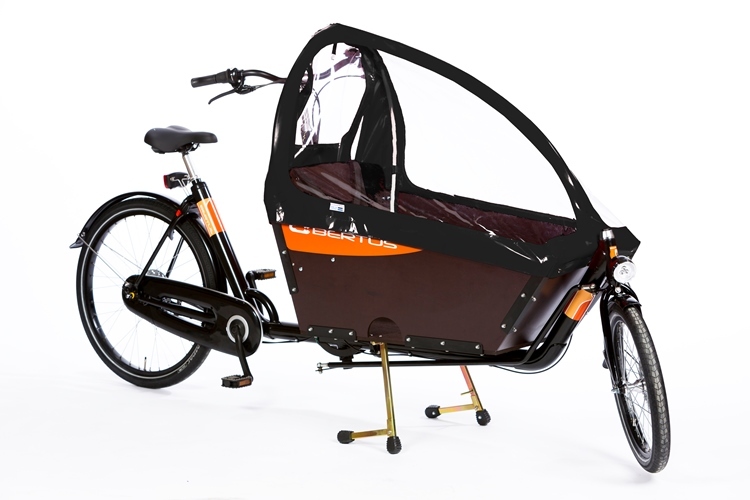 Kids can safely get in and out without the cargobike tipping over. Extra safe 3 point seat belts in the wooden box.